Hi I'm 22 and I'll be having my interview 2 weeks from now. I'm still under F2A because of CSPA. What are the possible questions that will be asked during the interview? When your petition approved? I could send you the calulation. My CSPA age is 19. It freezes. 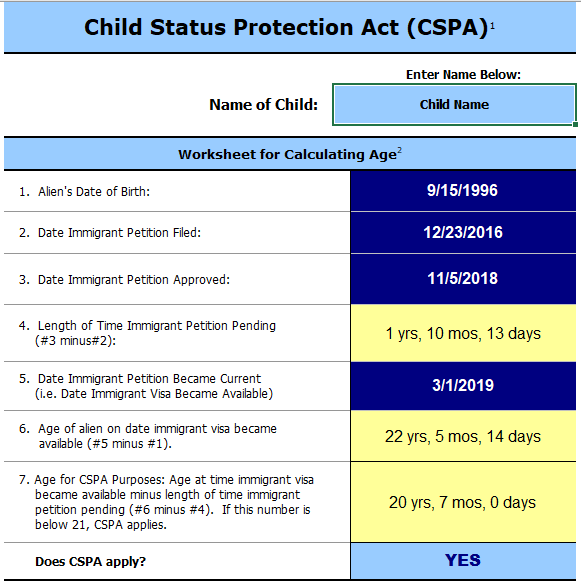 your CSPA age is calculated by subtracting the number of days your petition was pending (pending time) from your age on the date an immigrant visa becomes available to you (age at time of visa availability). However, you must remain unmarried in order to qualify. So really, if we are talking about time, it depends on how soon your petitioner petitioned you. I believe there is no action needed to acquire CSPA. It just automatically happens when your PD becomes current. F2A for unmarried child under 21 doesn't freeze the age. It only apply to US citizen child for IR2 visa. 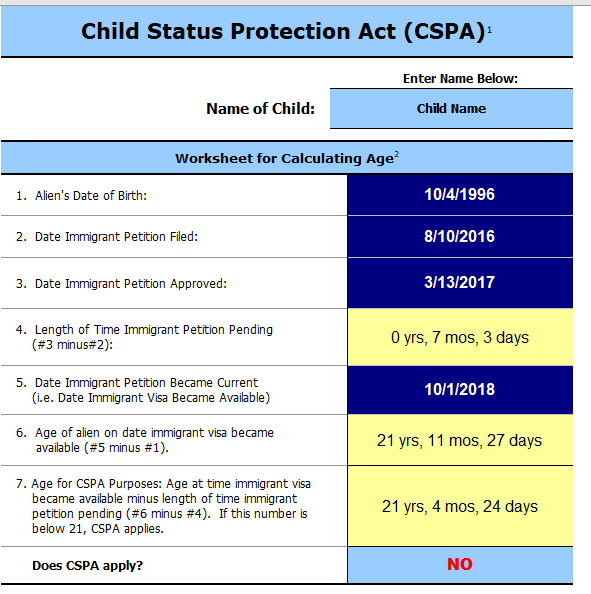 The date for your I-130 petition approved is factor in the CSPA calculation. How did you find out that you were moved to category F2B? I'm sorry to hear that. I'm not sure what happened with mine... and how I reached to this point of waiting for my interview if I'm not eligible for CSPA.. I'm getting nervous about that too. I see your visa is available this month. You should be protected by CSPA. I did see a posting this month has the same issue like you, NVC change the visa type to F2B. They call NVC and request for a review. samuelam's right. I think it's just a matter of patience at this point if you've already contacted them about this. It takes a while for them to reply. Are you sure on your approval year is 2017?